To do our job, now and in the future, the Civil Service needs to harness the talent of the whole nation, and reflect modern Britain. To help do that, just over a year ago we published our Talent Action Plan, with clear commitments to increase diversity and address inequality. Since then we've made progress in areas such as name-blind recruitment, talent schemes, shared parental leave and workplace adjustments. Today, we're publishing Talent Action Plan 2016. The plan sets out how we've done against commitments made last time, and new commitments focused on improving social mobility. This is all with the goal of making the Civil Service Britain’s most inclusive employer. There’s a world of opportunity in public service. We need to do more to make sure everyone is aware and has access to that opportunity. To do this, we need to hold up a mirror to ourselves and see what we must do to improve. The Civil Service has already made huge progress on equality in terms of race, gender and sexuality. It is now more diverse than it has ever been and compares favourably to many public and private employers. The proportions of people from ethnic minorities or declaring a disability are at historic highs; and women make up 54% of the Civil Service. But the representation of all these groups at senior levels is still far too low. That’s why one of the first things I did when I took this job was to commission a report into diversity in our graduate Fast Stream. And I have previously discussed here how we found that the most glaring inequality exists beyond legally protected characteristics when you look at social background. This isn't just the right thing to do. It's also about being an effective organisation. All the evidence shows that organisations work better when they have people from different backgrounds, offering different perspectives. We’re facing up to the problem. So how do we fix it? Everyone in government has a duty to do their best to serve the public. So we are setting up a schools outreach plan for civil servants, and I want to encourage every civil servant to reach out, to devote an hour each year to visiting schools and inspiring future generations to work in government. In most cases, you will be able to use some of your guaranteed volunteering time to take on this important opportunity, and you will be supported by our partner Inspiring the Future. Registering only takes 5 minutes. 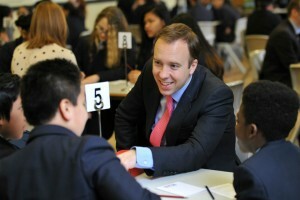 This morning, I spent time talking to schoolchildren in Wood Green alongside civil servants representing a range of different jobs. I hope you will follow suit over the next few months to inspire young people in a school near you. But you can’t manage what you can’t measure. We can only truly tackle the inequalities that exist in our workplaces if we face up to them, and if we know what to look for. And at the moment there’s no agreed way of looking at this problem. So, as part of today's Talent Action Plan, we’re joining with dozens of major businesses to develop a measure of social mobility - a ground-breaking new standard metric of social and economic background. We’re going to use this index to boost social mobility among the biggest employers in every sector of the economy. The Civil Service can offer opportunity for all, but we need to make sure as many people as possible understand what we provide. We have over 400,000 people in our organisation who can act as potential advocates - and spending just one hour a year speaking to pupils about our work can make a real difference. The Civil Service needs to be a leader, driving change by being the most inclusive employer in the world. To do this we have to throw open the doors of government to new talent and tell them: don’t let yourself be held back, we are on your side. This for real!? I think Job security and decent pay and work package would inspire a lot more. sure it's not all about the money etc but look at the NHS, were shipping in from other countries and hiring expensive agency staff because all the experties has moved to other countries that value them and the same will happen in the civil service. it is turning into just another job. Looking at comments on other blogs it is clear that we need to address the unhappiness the staff are feeling. I can appreciate the thought processes on inequality in pay as I am in the same situation. I can see the figures show inequality in the number of women that reach the top jobs, I am a woman. I also feel the inequality to the disabled, as I have a disability and though the thought is that this is being tackled, it is not.. I am also over 60 and I am being discriminated against because of my age. If I was made redundant voluntarily or otherwise, I am penalised because of my age with a lower redundancy package. How could I go to a school and tell young people that all of the above are not happening? I applaud the initative in working closer with the wider community, but i was advocating this years ago and nobody listened. But it needs to be wider than just talking to children in schools. We need to be much more diverse. For example i volunteer with the British Red Cross and get called out overnight to attend the aftermath of fires and other accidents. It is my job to find people alternative accomodation for overnight if they have been made homeless. I also do Event First Aid and attend functions, matches and other venues to provide first aid to those in need of it. I have learnt so much in my time volunteering and have dealt with a diverse range of people. So perhaps we can expand into other areas of the community. And work with the homeless charities for example and give advice and support on benefits etc. And also partner with local housing authorities as well. If we spread our wings we can reap a huge reward in offering a Civil Service fit for the 21st century! It's really good to see that you volunteer to help people in the community, and you're right, there is more that the Civil Service can do. We are doing something about it: there are lots of projects that connect civil servants to the communities that we live and work in. Please take a few minutes to read the Civil Service Local blog https://civilservicelocal.blog.gov.uk/ to find out what projects are taking place in your area and what opportunities there are to get involved. I very rarely comment on blogs but feel compelled! How do people take a positive action and turn it into something to complain about. We are employed to serve the public and anything we can do to inspire future generations or turn vulnerable citizens into contributing members of society has to be a good thing. Granted, there is much to do to improve the civil service and a lot of people are giving it a go. If it's not your thing or your organisation....feel free to leave, the door is not locked from the inside! I had a look at Civil Service Local which you pointed out. I have already done Community 10K volunteering for work. However as i dont drive and am reliant on public transport getting to places is difficult for me. However i will volunteer when i am able to, but my first duty is to the British Red Cross for whom volunteering is an honour and an honour to be part of. I really enjoy it. And to be able to directly help people is very satisfying indeed. I just wish i could do much more really. I agree with Si. How can you talking about inspiring people and spreading opportunity when there is no opportunity in the Civil Service due to lack of permanent contracts and low pay? None of the people in the office I work in under the age of 30 are on permanent contracts even and many in their twenties working in the public and civil service cannot afford to support themselves on the wages they earn. Diversity extends beyond gender race religion and sexuality. I agree that HMRC is a good but not perfect employer. Good diversity policy however extends beyond your legal obligations. I've returned to work this morning following the Easter break to find new chairs & tables in the canteen area. Money can be found for peripheries, but not to give staff a dserved pay rise. & as for the social mobility, stop favouring BAMEs over white English staff. As a serving civil servant from a working class background, I could not recommend the civil service as an employer. I encourage the children of friends not to enter the civil service and instead aim for careers where they will be rewarded and appreciated for their abilities - not something (in my experience) that happens within the public sector. I know people who wanted to join the civil service but nothing in our area as most services being concentrated in the north - and lower grades don't recruit - a way in for many in times past was to join at a lower grade and work their way up, This is much harder today as a lot of recruitment is fast track graduate schemes. Thank you for the publishing of this update on the Talent Action Plan. In respect of diversity within the Oganisation. You only have to look at the very low attendance of White Senior Stafff at the recent International Day for the Elimination of Racial Discrimination event hosted at Portcullis House to gain an understanding of how much work is still needed if we are going to fully address the issues! Even Richard Heaton [CS Champion] made mention of this during his short speech. "& as for the social mobility, stop favouring BAMEs over white English staff." That's a bold thing to say , seeing it has no basis in fact, both procedurally and in regard to material outcomes. Visible minorities tend to get worse outcomes in terms of recruitment and performance pay , that is what hard statistics tell us. Damned if I know what advantage Scots, Welsh, Irish and perhaps those of other white origin have over English staff except those who are language specialists. No basis in fact? Really? If two people go for a job, one white the other BAME, are you saying that the BAME person's ethnicity isn't going to be a factor in whether they're offered the job? 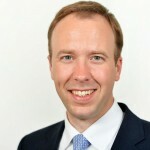 It's not just about getting people to join the civil service, As you say 54% of civil servants are women and people are more likely to be from BAME communities, or to have physical or mental impairments or to be LGBT in the lower grades of the Civil Service than in society as a whole. I know I joined the civil service in the eighties under the mistaken impression that recruitment and promotion were based on objective criteria and that it would therefore be easier for someone like me to get on than it would in the private sector. Instead of trying to deal with the issue at recruitment stage, perhaps it is necessary to help people manage their careers if they are unable to manage their own. Perhaps I'm just battle weary as I'm in the "twilight" years of my career, but I wouldn't recommend the Civil Service as a good place to work, and wouldn't have the brass neck to go into schools to try and convince pupils otherwise. So civil servants are being encouraged to go to local schools and promote the civil service as a career to make today’s teenagers socially mobile? Unfortunately I have several problems with that. Firstly, I have to “sell” an organisation that it reducing massively in numbers (30% over the life of this Parliament in the case of my current department). Secondly, I live, and need to remain in, London, and if I were to make a school visit it would be to a secondary school within walking distance of my London home, and one that in consequence would be full of local London pupils. I would somehow have to persuade them that an organisation that values its staff by the theoretical sale value of the land which they occupy, and is consequently selling off virtually every site within the M25, is worth working for and could give them fantastic opportunities to better their personal circumstances. When my local Land Registry branch closed (being replaced by unaffordable luxury flats for buy-to-let landlords), the closure coincided with the opening of a new branch of Wilkinsons. The queue for jobs at this new store stretched back for at least half a mile. In London. With two local revenue and customs offices also due to close, the situation is only going to get worse. Even the cheapest home is not affordable if you haven't got a job because the offices that provide those jobs have been converted into housing. I can’t work out which would be more challenging ; promoting the civil service as an employer of choice in London in 2016 or going back in time to 1976 and visiting secondary schools in the Midlands to promote British Leyland as an employer of choice. Or taking a trip down to Port Talbot today in 2016 and encouraging Welsh teenagers to get an apprenticeship with Tata. A very good piece, well written and well argued. What! Give up an hour of my time to ‘lie’ about the civil service to talented young people; do you really think that is fair to them? I would prefer to see young people taken on by organisations appreciative of their creativity and initiative and be allowed to use these qualities, rather than join an organisation operating stifling, risk averse, ‘old-fashioned rules’ and ideologies (PMR) who will just ‘mould and shape’ young people to these antiquated ideologies and feed them hot air rhetoric by a leadership that in reality, does not appreciate the staff it has. My advice to talented younger people is to forget the civil service as a career, work hard to qualify yourself to the highest level possible and then aim for private sector industry & commerce either in the UK or abroad where real potential for higher rewards (e.g. pay, promotion, bonuses, better pension) will be far greater than they will ever achieve in the ‘new’ civil service because the reality is that they just don’t exist; and won't exist in the future as government cuts continually chip away at civil service livelihoods. Let's be truthful and above all, 'realistic' with young people Mr Hancock. "This is all with the goal of making the Civil Service Britain’s most inclusive employer. There’s a world of opportunity in public service. We need to do more to make sure everyone is aware and has access to that opportunity. To do this, we need to hold up a mirror to ourselves and see what we must do to improve." But please be honest and do not lead young inexperienced folk up the garden path like what I was told, ie I will be on the top pay bracket within X amount of years when the reality is after starting employment in the civil service over 14 years at the fresh age of 20 I'm still nowhere near my max pay bracket after 14 years of loyalty and hard graft on my behalf. All FACT! First of all to improve, please if we are going to have blogs lets at least give the true facts. "No basis in fact? Really? If two people go for a job, one white the other BAME, are you saying that the BAME person's ethnicity isn't going to be a factor in whether they're offered the job?" If it was, it would be illegal, unless there was an occupational requirement , the most common example I can think of is the requirement for some jobs to be reserved for British nationals . Section 13(1) of the Equality Act 2010 refers. Similar provisions existed in the old Race Relations Act. This is should be common knowledge , not just to Civil Servants, but all workers. "So civil servants are being encouraged to go to local schools and promote the civil service as a career to make today’s teenagers socially mobile?" I mentored my teenage daughter during a week's work experience. We both gained a lot from it, from her and the schools point of view they realised that business communications was a skill in itself . And my daughter is probably more open to considering a CS career. But being a Londoner she knows that there are exceptional rewards available in the City and elsewhere, for example, one can get tuition fees paid, better starting salary, no pay freezes, nor loss of terms and conditions on promotion, how work is organised and rewarded is determined by what's best for the business, not by centrally imposed dogma , I could go on. Objectively, I can't see how the Civil Service can seriously compete with the likes of KPMG or Ernst Young unless it can address some or all of the above. I won't be rushing into any schools to promote the civil service after my treatment. A poor wage for a job I am expected to have a masters degree, and ridiculous short term appointments. My contract expires this Friday and I still haven't heard whether I'll have a job after that. I'll be kept with the ever looming threat of a five week notice letter. Most of the above comments are spot on, and I agree, its unlikely the civil service will exist in a decade or two. Yes, she is lucky that she's situated where she is, but what about those of us (or rather the Schools) that are situated outside "the magnetic field" of the M25? Also before asking anybody to try visiting schools to kid potential school leavers to aim for a job in CS (or any other part of the public sector), Could somebody please reassure us that a) there will be such a thing by the time most of these people leave school, and b) what sort of Public Service it will offer? And also can we please have a little bit more "perspective" and "Reality" about life in the Civil Service? people are still convinced that we are ALL on Index Linked Pensions andf that we also have a job for life, as long as we choose to stay in the Civl Service, whereas in reality, may of us are having to subsidise our earnings by claiming Benefits, and anyone who doesn't own their own home at the moment, probably has as much chance in the forseeable future, as many of those people who they are expected to go out and tell what a great life it is. In that sense, I agree with the PM and Chancellor we ARE "all in it together", well and truly! This initiative is a bit dissonant from reality and the minister should know better. Thankfully the Rt Hon Matthew Hancock, our leader, is young and energetic enough to drive this agenda forward of addressing diversity, inequality, talent schemes, social mobility etc. I suppose he can read most of these authentic contributions being made on this platform and address these first before wondering far. My own contribution is that there is a lot to be done to achieve the goal of modelling a Model Civil Service-UK style. Please Sir, listen to the voices of your civil service staff. If you are serious I would urge you to set up a team of behavioural scientists to visit civil servants across the departments to find out what you can learn from the people - not learning from your management teams but from the real workers. Just do this if you mean to be serious. We all need a 21st century UK civil service characterised by excellence in every aspect of a model organisation. But it looks like it's a pipe dream. "Everyone in government has a duty to do their best to serve the public. So we are setting up a schools outreach plan for civil servants, and I want to encourage every civil servant to reach out, to devote an hour each year to visiting schools and inspiring future generations to work in government." Perhaps it should be pointed out that "Local Government" will no longer exist and will be London based only. For example - Hartlepool Magistrate Courts - closing, Hartlepool Job Centre - rocky ground (has been threatened with closure many times). Guisborough Magistrate Courts - closed. Northallerton Prison, North Yorkshire – closed (yet the prisons are over crowed). What ever happened to 'the most qualified person for the job gets the job' ? Thats the only criteria that is of any importance. The civil service London-centric? I wish! How am I supposed to recommend it to pupils at my local suburban London secondary school? This article was obviously written in a positive basis and suggests ways that the Civil Service can help people. Unfortunately, the lack of morale and resentment has made almost all the blogs become an ignored outlet for complaints about the PAR system, pay cuts, lack of pay progression and inequality with MPs pay rises. Sad, but that’s how I see it. Please feel free to propose any counter suggestion. I have to agree with most of the above comments - I can't see myself promoting the Civil Service to anyone as a potential career. CS plays "lip service" to equality, but on the ground it is a different story. I can think of no other employer who would think it acceptable to introduce IT systems that are not compatable with Assistive Software (it is unclear if this was even considered at development stage) and then expect those employees affected to attend their place of employment only to not be able to carry out any work! Demoralising or what! I don't think the minister is aware of what is actually happening. I will be looking to mentor another young person in the coming year, so I for one will probably do my bit to promote the CS as best as I am able. But may I respectfully invite CS leaders to consider the whole picture when considering their communications to staff? I am very mindful that wages are constrained to an extent that when the new National Living Wage kicks in there would be absolutely no incentive for lower paid Civil Services to remain in post in light of increasingly onerous terms and conditions and the promise of better incentives elsewhere. Prolonged pay restraint has its consequences for placed on those with higher wages, who suffer greater NIC deductions from pay. Perversely it actually makes financial sense for some Grade 7s to work fewer hours, than to risk a very small pay rise adding a couple of percent to wage deductions. That can't be good for business. I struggle to find any career path outside CS where one would lose 1/2 days leave upon promotion. Then there are the inequalities to be found in PMR, widely referred to in this forum. Overall, I can readily see how CS corporate messages could be as popular as the songsheets provided to those people sat by the Rivers of Babylon. It is not the underlying message that is wrong , in my view, I would, in fact, support it. It's the fact that the message is delivered in the context of diminishing employee rights and benefits tied in with stubborn levels of inequality in appraisal outcomes. These are not just the result of statutory or Ministerial impositions, which the government has the right to do, but also those resulting from the Cabinet Office's own policies. I wanted to attend my local school as a volunteer but it did not seem to fit in with community 10000 (c10K) where they C10K promote the organisations that need volunteers rather than have me suggest them, so I used my annual leave. Clearly I could not carry on doing that so my plans for help died out. I would still like to help my local school but the C10K organisers that I contacted apparently could not step outside of their remit to enable me to do this. For me the c10K advertises "vacancies" far too far away as I have to consider travel arrangements. I could not honestly advise anybody to consider a career in the Civil Service. The terms and conditions have been eroded and we are constantly under fire. A fair days pay for a fair days work?. well the sitaution seems to be an unfair days pay for at least a day and a half of work each day. we are a public service organisation but we are not operating or treating our most valuable resource (The staff on the ground) anything like we claim to. all the customer service stats presented and 'Good News ' stories in the world dont detract from the severe lack of morale and levels of unhappiness within the ranks. who would want that for their children or indeed anyone elses?? I have just printed this document to discuss with a colleague on a forthcoming rail journey. In our roles as Driving Examiner, no time is scheduled into the working day to read any emails, particularly such an important, lengthy document. (This issue is currently being looked into by the employer and the TUS under the description of Corporate connectivity) When printed, the part of the document coloured pale blue is barley readable with the exception of the BOLD and underlined words. As part of the Staff Network Group representing those staff with disabilities, I am more aware of the difficulties experienced by some members of staff particularly those with dyslexia. It is ironic that the document is "Removing the barriers to success" as some staff, who have declared their disabilities, have been denied promotion throuhout their long careers in the Civil Service, partially due to the impact of their disability on their ability to process written work. I would like to help out as a volunteer in schools but if I am asked about the Civil Service, what am I to say ? With ever changing terms and conditions do I champion it to young people ?